If you consider family as a company, then you are the CEO. As the company has many departments such as management, communication, marketing, etc., similarly the family and home has equivalent aspects. Finances, food and kitchen, routines, cleaning, health and home maintenance are its components. Got the idea? If you divide family management into several small components, you can manage them more efficiently. When all the departments would be running smoothly your family will be successful and all members would be satisfied. They would feel proud that they are part of such a great family. It is a lot of job and all the members must share this responsibility. Still, you are the head of the company and you must oversee these functions. The most important of family functions is making budgets. The importance of having a written budget gets manifolds if your income is less. Even if you are financially strong, it is wise that you make a budget on weekly or monthly basis depending on when paycheck is received. Write down all the expenses that your family makes in a month against the income. It will include expenses made in utilities, housing, entertainment, health, education, fuel and miscellaneous expenses. It will give you the bigger picture of your financial condition. The next step is to slash the unnecessary expenses. If the situation is critical, you will have to make drastic cuts even as getting cable disconnected for a few months, etc. In good times too, you need to see what are your needs and what are wants? Allow a fund for each category after mutual discussion with your partner husband/wife. You may also include children in this debate. It will make them learn the importance of money which will help them later on in their lives. Deposit the extra money saved from the cut in a bank account. Even if you make a saving of $ 100 a month it would become $ 1,200 in a year. After managing your finance department you are ready to move on to the next department. This is the second most important department of your company. You have to make nutritious meals, but at the same times have to keep an eye on the expenses. It is a tough job. The first thing you need to do is to make a menu of meals that you would make in a week. Start with your, children's and partner's favorite dishes. Here you may need to see that some of the choices are bad e.g., burgers, pizza, etc. Having them once in a while are okay but these are not healthy food. It is a tricky thing to do, but you have to convince your children that home cooked meals are healthier, not to mention economical. Making a list would also help you in keeping the pantry stocked. It would save you a lot of time. Cooking for every day is difficult. Taking the cook's night off and going out for dinner in a week is a good idea. You may also make food that could be refrigerated for two or three days. The daddy has to go to the office on fixed time. Children's school bus also honks at the same time each day. The importance of keeping these timings and routines is obvious. The new technology can help you organize your and your loved one's lives easier. You may use cell phone alarms to wake up at the right time. You may use several of them so if you miss one wake up call you can wake up on the next. In the same way, managing, and scheduling time for your children is also very important. Make a fixed routine for them. Time for play, sleep, meals, study must be clearly demarcated. 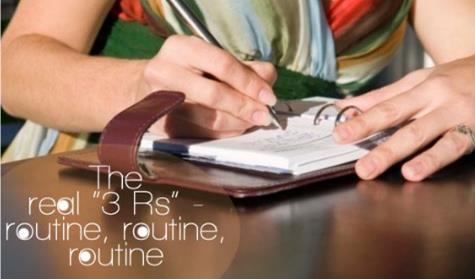 These routine ultimately make your life easier and enjoyable. 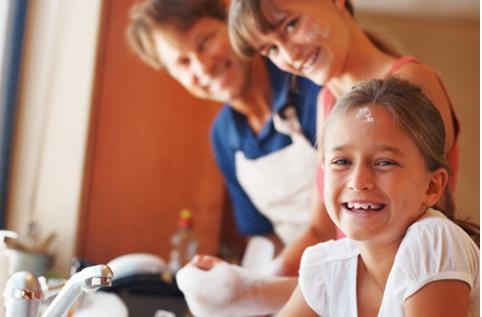 The cleaning of home is a family responsibility. All family members must put the share in cleaning and keeping the house clean. From the earliest age children should be asked to make their beds and keep their room clean. Another culprit of messed up house is pet. Potty training isn't crucial for vain. It helps you keep your home tidy. Also get all the cleaning equipment. Once a week, all family members clean up the house. A quick 15 minute family cleans up daily can be useful too. 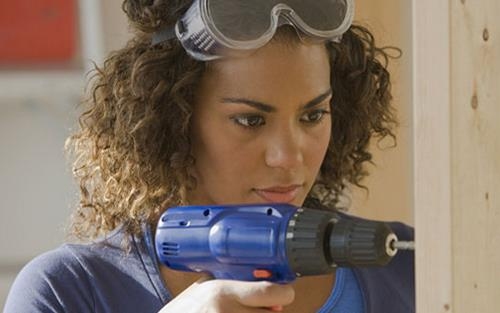 In spite of the fact that the maintenance department is male dominated, moms can also learn a few skills that will help them maintain the house. It would save you lot of bills. Changing the bulbs, mowing the lawn, fixing the leaks and similar things can be very useful, especially when the daddy is not around. Learn as you watch. You may read some tutorials on the net too. The health department should be managed with two pronged strategy. The first part is to remain fit and healthy. The other part is to look after if someone falls ill. To remain healthy establish high hygiene manners. Work out regularly. Encourage children to pursue their favorite sports. Hobbies and pastime activities also maintain the mental and psychological health. Mother and father must be a role model for their kids when it comes to physical activities. If you rigorously follow this regimen you would get less sick. Home remedies such gargling, having green tea, chicken soup and drinking lots of water would keep you healthy. After taking all these precautions if someone gets sick, begin the treatment as soon as possible. Treating a disease early is less expensive than when the disease gets chronic. This department has been newly added. Computers, Internet, cell phones, tablets, smart phones, game console and similar gadgets fall in this category. The kids are more conversant in this department, but you need to take care that your kids remain safe when they use these devices. The use of social media and the Internet is good but there are some risks involved. You must keep an eye on the kids when they use the net. Install monitoring software. Tell your kids not to share personal information with strangers on Internet and Facebook, etc. Limit the time they spend on cell phones and the Internet. Children should be encouraged to forge social relationships. The risk here is making friends with the wrong people. Keep an eye on their friends. If you find something wrong about them, then convince the children logically that maintaining a relationship with such a person is bad for them. You must go for picnic on holidays. Arrange parties in the house. This way you can keep track of their friends. 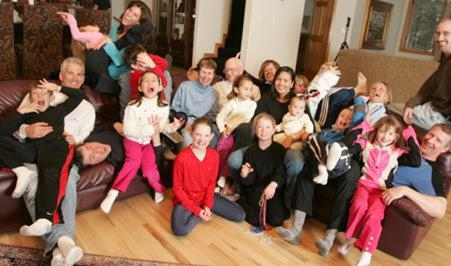 Socializing with family members such as grandparents and cousins on weekends is a good idea. Maintaining a family is like maintaining a business or company. You need to see that all the departments in the company are working efficiently. Similarly, if you see the different functions the family has to accomplish you would see a similar pattern. By dealing these functions separately will make the job of family management easier.